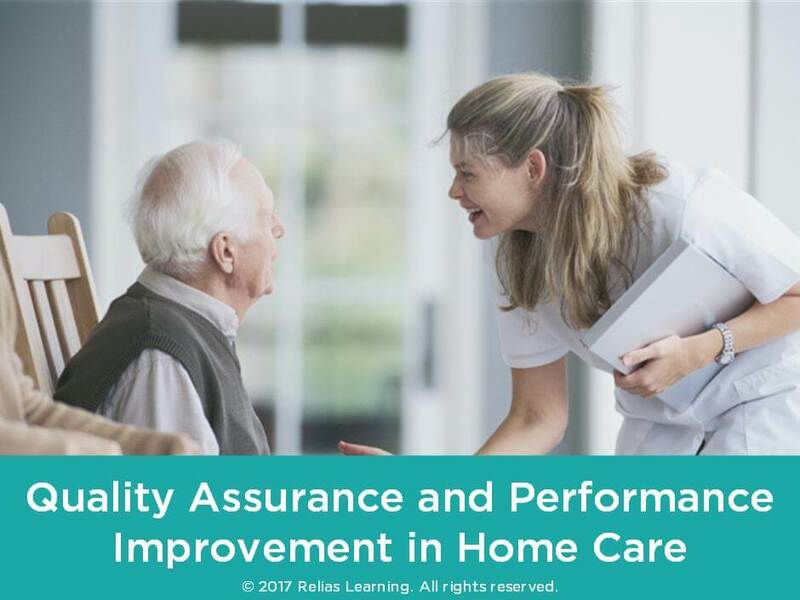 This course will introduce the basic principles of quality assurance and performance improvement, commonly abbreviated QAPI, in home care. Home care workers will learn how to help their agency use QAPI to enhance services, increase client and employee satisfaction, and negotiate complaints effectively. Identify two principles of QAPI. List two benefits of QAPI. Examine the practice of QAPI in home health care. Describe the proper way to handle patient complaints using QAPI. The target audience for this course is: intermediate level General Staff; in the following settings: Home Health.